When General Motors (GM) reports its fourth-quarter and full-year 2014 earnings next Wednesday, Wall Street analysts expect its fourth-quarter earnings will be stronger than the 67 cents a share it reported in the fourth quarter of 2013, as GM’s operations continue to perform well despite last year’s record wave of recalls. GM executives have been saying for a while that the company’s 2014 pre-tax profits would improve on the $8.6 billion it earned in 2013, but with an important caveat: That result excludes the costs of GM’s record recalls in 2014. GM issued 84 recalls in 2014, covering over 30 million vehicles, at a cost of about $2.3 billion. GM also took an additional $400 million charge to cover the estimated cost of a settlement fund it established for victims of an ignition-switch defect in cars made last decade. That will all weigh on GM’s net earnings for the full year. But the point that GM CEO Mary Barra and other executives have been trying to make is that, behind the noise of the recalls, General Motors had a pretty good year in 2014. In China, its full-year sales rose 12 percent, outpacing the overall market. In Europe, its Opel and Vauxhall brands posted a 3.4 percent increase for 2014, again ahead of the overall market’s gain. And in the U.S., a key driver of GM’s performance, GM’s sales rose 8.8 percent during the fourth quarter, with big gains in profitable segments like full-size pickups. Those gains came without huge costs. GM’s incentives in the U.S. continued to be in line with rivals’, and considerably lower than in the recent past. Its gains in truck sales came not from heavy discounting, but from the strength of its new Chevy Silverado and GMC Sierra pickups, which left it well-positioned to take advantage of the shortages faced by rival Ford (F) as it worked through a difficult conversion to its new 2015 F-150. Its new and much-improved SUVs also saw good gains in the quarter, and throughout 2014. 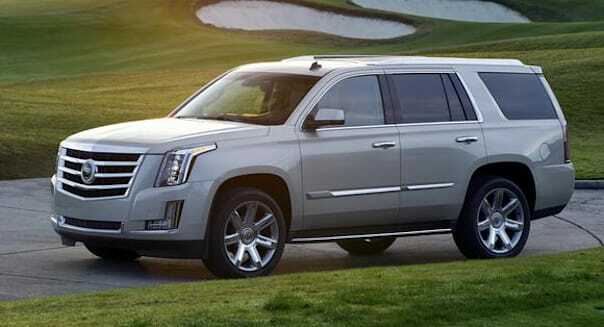 Sales of the Chevy Tahoe rose 17 perecent last year, while its Cadillac Escalade sibling gained over 50 percent. These are high-margin products that make outsize contributions to GM’s North American profits; their success bodes well for GM’s fourth-quarter and full-year numbers. Meanwhile, GM continued to add more high-margin products to its portfolio in China. A major effort is underway to make the Cadillac luxury brand a significant player in the world’s largest auto market. That effort is still several years away from fruition, but it’s making progress: Cadillac sales in China surged 47 percent last year. And in Europe, its star of the moment is the Opel Mokka SUV, a twin of the Buick Encore sold in the U.S. and China. The Mokka has become a surprise hit for GM in Europe, and its global scale means that GM is making good profits on every sale. So what does all that mean for GM’s fourth-quarter results? Last quarter, GM surprised Wall Street with solid results that showed that it was less vulnerable to situations in Latin America (particularly Venezuela) and Russia that had hammered rival Ford’s bottom line. That bodes well for another positive surprise this time around. Wall Street analysts expect GM to report a profit of about 83 cents a share, but it’s possible that GM could come in a bit higher. While its new-product cadence continues to be aggressive, GM has completed its most expensive launches: the overhaul of its full-size truck and SUV lines. With those products in place, profits in North America should continue to be robust. Incremental improvements in Europe and China should also help. Barring any surprises, the upshot should be a pretax profit in the neighborhood of $2.5 billion or a bit more, as GM delivers on its optimistic 2014 guidance.